LUK CLUTCH KIT FOR PEUGEOT 406 2.0 HDI '99. LUK CLUTCH KIT FOR VW PASSAT 1.9 TDI '98. LUK CLUTCH KIT FOR VW GOLF 1.9 TDI '03. LUK CLUTCH KIT FOR OPEL VECTRA 1.9 CDTI '04. LUK CLUTCH KIT FOR OPEL VECTRA 1.9 CDTI '04 on. AutoFastFit have been selling and Fitting Clutch kits for over 40 years and take pride in only offering a premium quality parts at discounted prices. Quality is guaranteed at autofastfit.ie. Original Equipment Manufacturers (OEM) like LUK, SACHS & VALEO are clutch brands we specialize in. 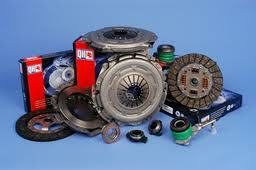 Clutch kits- Clutch Discs, Clutch Pressure Plate and Clutch Bearing. The clutch disc is the clutch’s central connection element. In combination with the clutch pressure plate, it both separates and links engine and powertrain. It also reduces the speed fluctuations in the gearbox caused by the combustion motor. Together with flywheel and friction disc, the clutch pressure plate forms a friction system and is mounted to the flywheel by bolts in the housing. The pressure plate ensures that the engine torque is transferred via the friction disc to the transmission intake shaft. In the 70’s, the diaphragm spring clutch has consistently eliminated bolt springs from the passenger car. The LuK brand focuses exclusively on the automotive industry. The company co-founded by the Schaeffler brothers in Bühl, Germany in 1965 has been at the top in terms of engineering ever since its first innovative product – the diaphragm spring clutch – appeared on the market. The LuK Group has been part of the Schaeffler Group since 1999. 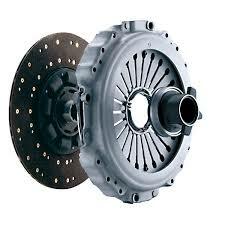 Today, every third new car rolls out from the production line with a LuK clutch. The company is working intensively on solutions for the automobile world of tomorrow, for example with the double-clutch transmission and components for continuously variable transmissions – for greater safety, comfort, and fewer emissions. The name LuK has been practically synonymous with innovation, unsurpassed customer orientation and the outstanding quality of its range of Clutch products for the automotive drive train. Since 1987 LuK has operated in the UK from its modern plant situated in a strategic location with excellent links to the motorway network. The aim of LuK and Autofastfit.ie is to exceed our customers’ expectations with on time delivery of quality products. German luxury carmaker Porsche has awarded The Schaeffler Group its 2011 Supplier Award in recognition of the continued successful collaboration between the two companies. QH offers one of the most comprehensive automotive aftermarket product ranges in the world, from Auto Electrics, Brakes, Cooling, Engine components, Steering & Suspension and Transmission products. Our target vehicle coverage is an industry leading 98 percent coverage with 97,000 SKUs. Blue Print is the complete solution for quality replacement parts for Asian and American cars and light commercial vehicles. Blue Print provides the automotive aftermarket with highly accurate parts, technical and information solutions for more than 160 different types of automotive components. The Blue Print brand was launched in 1994 and is a complete range solution for Asian and American vehicles, including 'Grey' imports, selected American imports and re-badged equivalents." The Blue Print range continues to expand and develop through accurate research, close analysis of the vehicle parc and of course information gathered from you, our customer. We receive almost 2,000 requests for new products every month; to date 40% of all these requests have been researched , catalogued and are available for next day delivery.